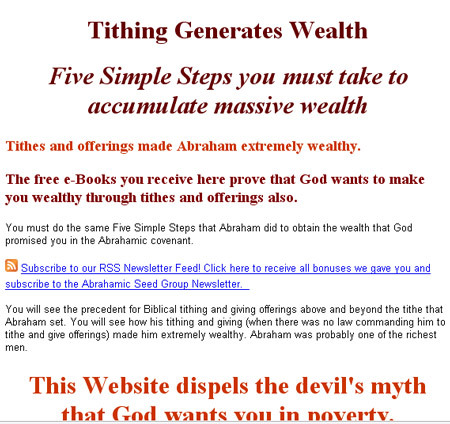 Why did i even click on the advertisement that said, “Tithing Generates Wealth”!!? I knew what was coming. When will it all end? Here is a thumbnail to the right that you can click on to see the full screenshot of the website i came across. Where do I start and what do i say to this crazy website. Where do you get the idea that tithes and offerings made Abraham wealthy? Another thing it says: “Five simple steps you must take to accumulate massive wealth”. Everyone wants microwave Christianity. Everyone wants microwave wealth. They just want to press a few buttons and presto, out comes a T.V. Dinner. As a matter of fact i was close to naming this post, “microwave Christianity”. 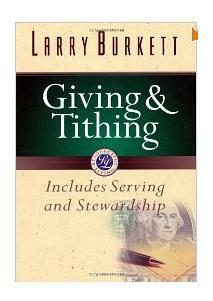 There are principles to wealth in the bible, and tithing and offerings is not one of them. Work hard, gain wisdom, save, invest. . . these are all principles in the bible. I like chasing rabbits, so here goes one kind of off topic. I am sick of hearing the word, “seed”. i wanna puke every time i hear that word in the prosperity message. “sow your seed here”, “sow your seed there”. Makes me want to scream. So back from the rabbit trail. Probably the next “worse” thing about this website is, (well its all bad at the same degree, so all of it is “worse”) that they have this annoying, never-ending popup that doesn’t want to go away. It says, “STOP RIGHT THERE” and then rambles on about your blessing you are promised. It’s not like the website itself is horrific enough. If that doesn’t give you nightmares, you’ll be dreaming of popups chasing you all night that won’t go away. I should come up with a list of top 10 most annoying things of prosperity websites. One of them would be the paypal donation button at the bottom. As a matter of fact, i am going to come up with a top 10 list. Has anyone come across any other horrific websites?